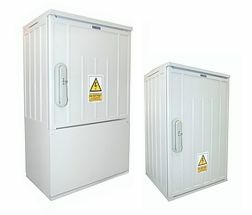 We manufacture polyester enclosures for use in professional power engineering. We have certificates of compliance with applicable European standards. We do research enabling continuous improvement of the technology of manufacturing enclosures and construction elements made of polyester material. A modern machine park allows us to carry out a wide range of services related to material processing. We offer services such as: cutting, welding, sheet metal bending, machining, liquid and powder coating. From the beginning of our activity, we deal with prefabrication of electrical switchgears. We currently employ several dozen experienced electricians and fitters with permissions. 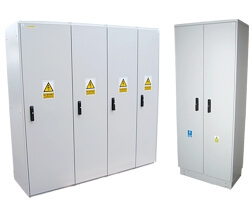 We make LV and MV switchgears in the full current range. 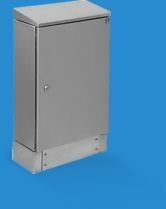 Metal enclosures meet requirements of electrical switchgears, they quickly gain favor of customers and become a product commonly used in the LV switchgear sector. Polyester enclosures meet the requirements of electrical switchgears, quickly gain favor of customers and become a product commonly used in the LV switchgear sector. 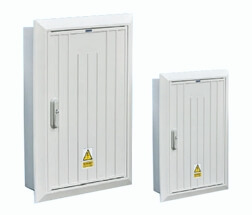 We produce LV and MV switchboards in the full current range. There is a possibility to equip our enclosures using electrical components from different manufacturers. 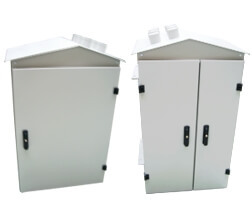 Free-standing DIN enclosures. 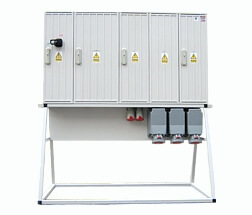 Used as LV electrical switchgears as well as cable, metering and protecting (electronic devices) cabinets. Industrial hermetic metal enclosures dedicated to electrical switchgears manufacturing processes as well as control and monitoring devices. 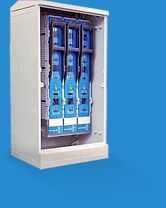 Polyester flush-mounted enclosures used as measuring switchgears and enclosures protecting electronic devices. RBM, RBT switchgears used to supply energy to construction sites, mass events, temporary supply of facilities. 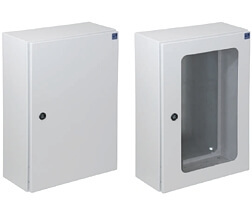 Metal industrial enclosures ORA used for LV switchgears, as a network enclosure, for supervision and control of production processes. Substation pole cabinets for the distribution and measurement of electricity directly after the transformer in overhead MV / LV substations. Our machining centers allow for unlimited possibilities of processing various metals (including aluminum, bronze, copper, brass). We do: welding and machining of various materials, including non-alloy steels, alloy steels and aluminum. The most modern 4kV laser allows laser cutting up to a few dozen millimeters of aluminum, steel, galvanized steel, copper, plastic. Bending of metal sheets by press brakes, elements of this type can also be realized through a robot that supports the work of qualified operators. We have two professional spray booths. We provide comprehensive painting along with the preparation (including primer) of plastics and metals. Powder coating of steel sheets and metal elements in any RAL color and various structures. Metal and thermoset polyester enclosures - they are characterized by high quality of workmanship - both in the material and technological sense. 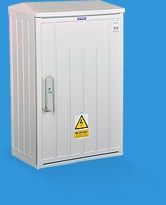 Safe enclosures and switchgears - both in the scope of electric shock insulation or protection against humidity (IP). Both metal and polyester enclosures are characterized by modern design and high esthetics. Depending on the type, enclosures and electrical switchgears are characterized by resistance to mechanical impacts - IK05 or IK10.